Ms. Towill has extensive experience in litigating complex business disputes in state and federal courts. She also regularly advises clients on preventative measures and risk management. 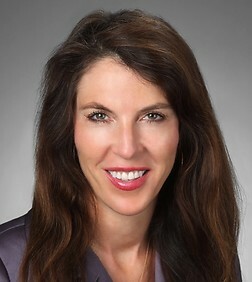 Her varied practice includes representing clients in commercial transaction disputes, real estate matters, corporate compliance matters, whistleblower retaliation claims and toxic tort liability litigation and product recalls. In addition, she performs internal investigations for her clients. Ms. Towill represents clients in numerous industries including: financial institutions and services, aerospace and defense, oil and gas, technology and healthcare. Ms. Towill defends class action matters in state and federal courts alleging securities violations, business torts, false advertising, violations of telephone recording statutes, and other claims. She specializes in whistleblower retaliation lawsuits brought under various federal and state statutes, including the Sarbanes-Oxley and Dodd-Frank Acts. Ms. Towill is the former law clerk to United States District Court Judge Manuel L. Real. While with the firm, she also worked as in-house counsel for Northrop Grumman Corporation, where she managed litigation and supervised outside counsel. Obtained dismissal with prejudice of a securities class action brought against a major financial institution and its top executives. Successfully defeated in arbitration on behalf of a majorly publicly traded company a whistleblower retaliation action under federal and state law. Successfully terminated product recall by Consumer Product Safety Commission against international manufacturer of electronic products. Achieved complete victory for federal savings bank in state court action filed against it seeking over $400 million in damages for alleged breaches of acquisition, technology and consulting contracts; fraud; violations of banking regulations, security, and labor laws. After over three years of litigation, all causes of action were dismissed and client made no monetary payment and no modifications of business practices was required. Defeated on the eve of trial a headline-making mass toxic tort action spearheaded by Erin Brokovich alleging that client’s oil facility caused cancer in Beverly Hills High School students. Represented Parsons in disputes with the Southern California Regional Rail Authority and subcontractors for negligence and indemnity claims arising out of the Metrolink and Caltrans positive train control project. Obtained dismissal of federal class action alleging violations of the California telephone recording statutes. Represented toy manufacturer in numerous actions alleging injuries from exposure to chemicals. Represented numerous clients in actions for alleged exposure to chemicals used in manufacturing facilities. Primary role in successfully arbitrating the first False Claims Act action decided by two federal judges in a unique baseball arbitration brought by the U.S. Attorney’s Office and the Department of Justice. Obtained dismissal of three product recall actions brought by the National Highway Safety Traffic Administration (“NHSTA”) acquitting client bus window manufacturer of all claims. Handled investigation brought by the Office of the Comptroller of the Currency (“OCC”) based on consumer allegations of undercapitalization, faulty mortgage loans, etc. Investigated alleged bank employee theft, resulting in discovery of hundreds of thousands of dollars in false reimbursements. Represented client in International Chamber of Commerce (“ICC”) arbitration against major United Kingdom defense contractor. Achieved a jury verdict on behalf of one of the state’s largest commercial printers in a case against another commercial printer, its president and one of its sales people. Client was awarded damages for breach of contract, breach of fiduciary duty, misappropriation of trade secrets and unfair competition. A jury also found in favor of client on cross-complaints for slander, libel and interference with prospective business advantage. Represented real estate developer in several actions for fraud and breach of contract involving 100,000 acre ranch located in Central California. Conduct investigations for Board of Directors concerning company’s compliance with applicable regulations. Ms. Towill has represented such clients as: Venoco, Inc.; MassMutual; Discount Tires; Parsons Corporation (and affiliates); BofI Federal Bank; Herbalife International of America, Inc.; Einstök Beer Company; H.C. Duke & Son LLC; Hehr International; Avalon Glass and Mirror Co.; GlassWerks LA, Inc.; PR Glass; Consolidated Graphics, Inc.; Mattel, Inc.; Northrop Grumman Corporation; Raytheon Systems Company; and Dale Poe Development Company.